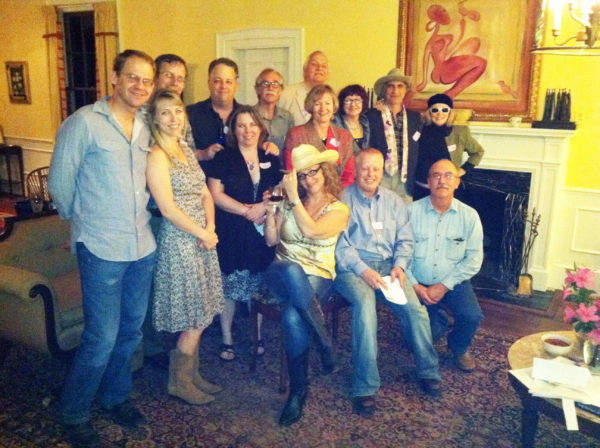 On Saturday April 14th 2012, Bellamy Manor held our second Murder Mystery. We took our guests back to 1984, paying homage to the mid-80’s “Dallas” and “Dynasty” TV shows. We transformed Bellamy Manor into the SouthSpoon Ranch based in Dallas Texas. And the “freeform” Murder Mystery event was titled “Happy Birthday R.J.”. Including our overnight guests, the owners and several local friends, we had 14 people in attendance! But more important, our guests had a great time! Next Murder Mystery – Coming Soon! Our next Murder Mystery will be planned for later this year. This will be your chance to spend an evening experiencing a delicious dinner, and solve a murder… all in one night! You will arrive on Saturday evening for cocktails (feel free to bring your favorite drink and snack, if you wish!). At that time, you will become one of the characters in the unfolding drama. While socializing with your fellow guests and some of Bellamy Manor’s invited friends, you’ll begin to discover who’s who. Dinner will begin around 7pm, provided free by our Murder Hosts. Over dinner you’ll learn everyone’s pasts, and find out what their motives might be. You’ll think you know who did it, in fact, you’ll know for sure, but some twist of events might shake your world, and make you reconsider the whole thing. After desert, you will witness a suspense-filled climax that ties all the pieces together, with the murderer (or murderers) exposed. After solving the crime, you are free to continue socializing, or you can retire for the night. If you are interested in joining us for our next Murder Mystery, please Contact Us!